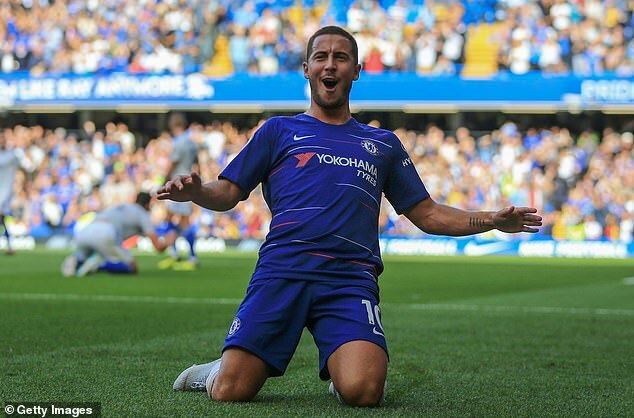 Eden Hazard: a seat at table of the greats? Neymar picked up the ball on the left and, seeing no way directly forward, began to swiftly traverse the pitch, seeking an angle to slip the ball through. Immediately, he encountered resistance. James Milner, Jordan Henderson, the stars of Liverpool’s victory over Paris Saint-Germain, both tried to leave one on him. They couldn’t get near. Neymar skipped and swerved, sashayed and shimmied. By the time he finished he was on the opposite flank, a little further ahead than when he started — but what a journey it had been. His pass was over-hit, and the move ended, but even so. That was some warning. The match was only minutes old and a player who would seek acclaim as the finest in the world was up for it. If he could pick out Kylian Mbappe or Edinson Cavani, this might be a long night for Liverpool. Yet in those opening minutes, the effort needed to get away had shown it was going to take a lot of hard yakka, as the Australians say. And Neymar didn’t fancy that. So it was pretty much the last we saw of him at Anfield. That’s the point with Cristiano Ronaldo and Lionel Messi, and those who would lay claim to their crown. It is never too much for them. No amount of work. No amount of running. Match after match. Season after season. They would have found it hard going against Liverpool, too, playing at that intensity, but they would have kept on. 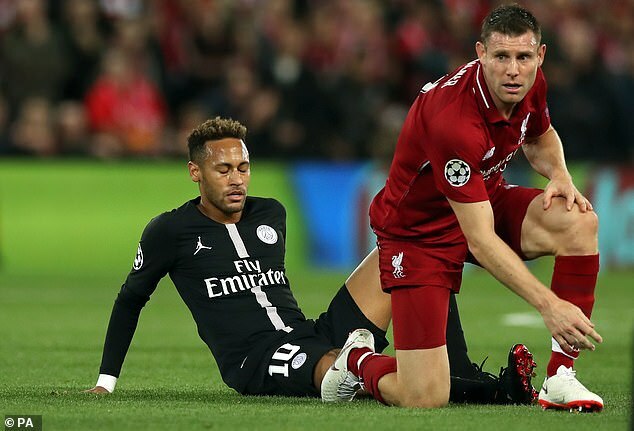 People think a tackle from Milner knocked Neymar out of the game, and it was certainly eye-catching and ferocious, a real statement of intent. But he’s from Brazil. He grew up playing against some of the most ruthless defending on the planet. A whack is nothing new. It was more than that. It was the other 89 or so minutes that was going to hurt. The unrelenting commitment needed to beat Liverpool. That is what he didn’t fancy. It is the same with Eden Hazard. In brilliant form this season, obviously. He was top of the charts for runs with the ball from the first game, and he only played 14 minutes of that, at Huddersfield. Yet one season on, one season off isn’t the pattern of the best player in the world, either, and that is the way Hazard’s form has progressed across roughly four seasons. He was brilliant when Chelsea won the title under Jose Mourinho, and then disappeared in the next campaign. He was outstanding in Antonio Conte’s title-winning first year, disappointing as Chelsea trailed off in his second. Now it looks as if we are going to see the best of him again. And, obviously, the best of Hazard can be the best of just about any footballer on the planet. Yet Messi and Ronaldo? That was a different level of best, a new journey into exceptional grades of consistency and excellence. Ronaldo: 33 goals, 53 goals, 60, 55, 51, 61, 51, 42, 44. Messi: 40 goals or more in every campaign since 2007-08 — and 61 across the two seasons before that. And sure, some years will be better than others. But none fade into irrelevance. None resemble Hazard’s 2015-16, when he didn’t score a Premier League goal until April 23 and found the net as many times for Belgium in 10 games as he did for Chelsea in 43. This isn’t about Hazard being left at home for Chelsea’s match with PAOK Salonika on Thursday night, either. Even if Messi and Ronaldo’s clubs knew what the Europa League was these days, they wouldn’t play them in it, not the group stage. Hazard said he felt tired and that is to be respected. He is too valuable to risk. If we know anything of Chelsea these last few years it is that, without him, they can be made to look rather ordinary. It is no coincidence that in the two seasons when Hazard dipped, his club finished outside the Champions League places and Maurizio Sarri was masterful in easing him back into competition this season, after his exertions at the World Cup. Great players need protecting. Yet the greatest, strangely, get little special treatment at all. 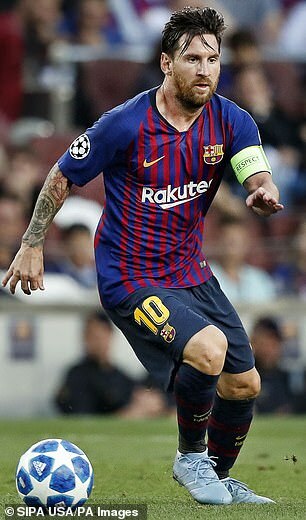 Ronaldo has played less than 40 games for his club in one season since 2002-03, Messi has hit 40 as a minimum every year since playing 36 times in 2006-07. Hazard has averaged 49 club games in his last 10 full seasons, which is impressive; except Ronaldo averages 49.1 and Messi 52.7. And no breaks, no breathers, no evenings when they simply did not fancy outrunning James Milner, no years when their team-mates had to go it alone. That is why the debate around the heirs to Messi and Ronaldo is, for now at least, moot. One day, there may be others but at this point, they have raised the bar to a standard that no one is prepared to reach, or attempt. Not every week, anyway. To be fair to Rafa Benitez, at least he picks the players he advocates for England. So his endorsement of Jonjo Shelvey does not ring as hollow as, say, Pep Guardiola’s encouragement of Phil Foden. Even so, to say Shelvey could be the answer to Gareth Southgate’s lament about Paul Gascoigne is stretching credibility to breaking point. Benitez was working with age-group teams at Real Madrid when Gascoigne was at his peak before injury, but even so. Shelvey has certain qualities but in terms of class, he’s nearer to Bamber Gascoigne than Paul. Let’s get this right: Paul Gascoigne isn’t even a once in a generation player. He may be once in a lifetime. He’s 51 now, we haven’t see anyone quite like him since he retired, and we didn’t have anyone as good in the decades before he arrived. We’ve had great players, great midfielders, but one who could change a game, run a game, becalm a game, as Gascoigne did in one of his last hurrahs against Italy in Rome? No, nothing like that. 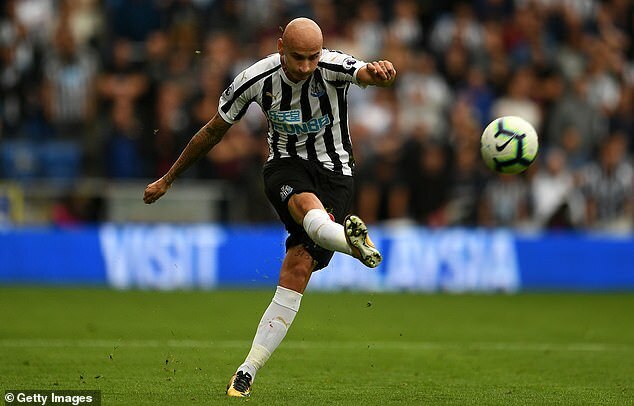 Considerably better players than Shelvey are still not even close. 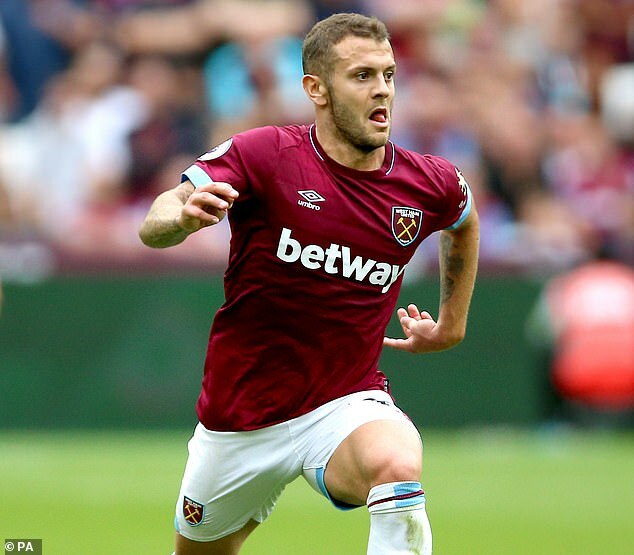 It is a terrible pity for Jack Wilshere that he is out for six weeks after an ankle operation, but maybe not for his club. West Ham looked sharper against Everton last week with Declan Rice and Pedro Obiang in midfield beside Mark Noble; now Rice deserves a run. Jurgen Klopp was discussing the questioning he receives after matches. In England, he said, a manager deals with added ‘trivia’ as he called it — but there was more deference in the questions about football. He’s right. Klopp might get asked about heavy metal music or Maurizio Sarri about his smoking habit, because we like back stories and personalities, but even if Liverpool or Chelsea lose 5-0, the football conversations will be framed with respect. Klopp said that in Germany, defeat was often met with open hostility — ‘well that was rubbish, what are you going to do about it?’ — whereas in England an inquisitor will be polite, try to see a positive before asking, ever so gently, if you might just, possibly, have stuffed up? This brings us to Mauricio Pochettino, who seems a most unusual chap: a football manager who doesn’t like it if you ask him about football. But nobody was talking about those players. They are injured. Only a lunatic would ask Pochettino why he didn’t pick an injured goalkeeper at the San Siro. What the journalist had wanted to know was whether Pochettino thought in defeat he had made a mistake resting two key, fit, defenders. 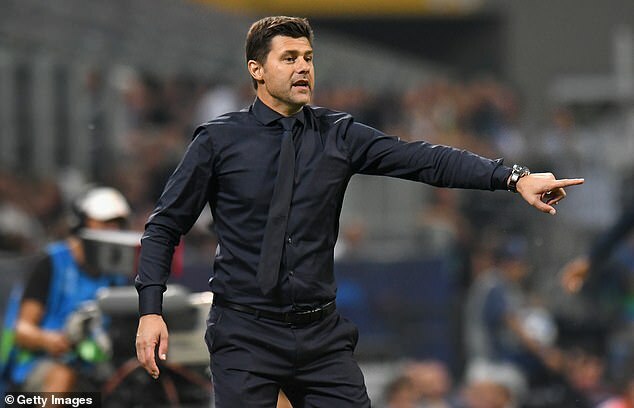 Except being English, not German, he did not challenge Pochettino that he had messed up — merely couched his question more politely as one about regret. Last season, after Tottenham defeated Arsenal 1-0 at Wembley, Pochettino was equally angry when asked why he had preferred Davinson Sanchez to Alderweireld. He seemed to take it as an insult — to himself, and his players. Actually, it was a sincere football inquiry about whether Sanchez’s inclusion was a smart reaction to Arsenal’s 5-1 win over Everton the previous week, and the pace threat of Pierre-Emerick Aubameyang. Arsenal had failed to score, remember. Instead, he was still grumbling about it 10 minutes later. And that was after a good win. So now he is losing — well, you can imagine what a fortnight in Torremolinos that must be. The new era of openness with England under manager Gareth Southgate is rightly applauded. One wonders if it has been as well received at Tottenham, however, given its possible impact on their transfer budgets and strategy this season. Plainly, money is tight with the new stadium nearing completion. 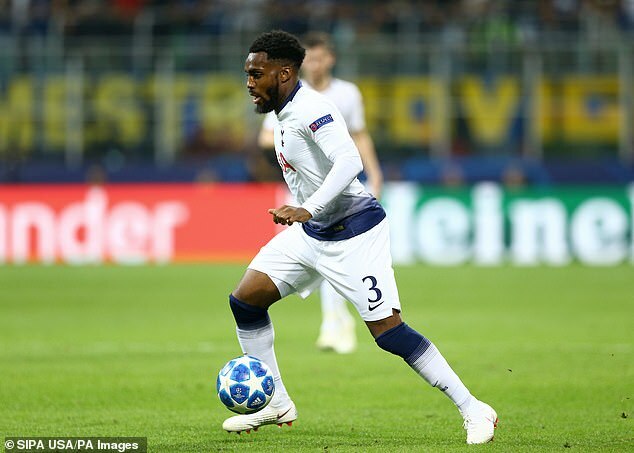 Yet funds for summer deals were expected to be met by two lucrative sales — Toby Alderweireld and Danny Rose. Both had, to a large extent, fallen out of favour with the coach and while Alderweireld had contract issues that may have suppressed his price, Rose was a banker: the same age, 28, as Kyle Walker who had fetched in £50million from Manchester City a year earlier. Even if Spurs could not get that, they felt it was possible to retrieve £40m. And then Rose went public on mental health issues. At an England training camp in June, Rose said he had been diagnosed with depression, and had even taken medication for it. His admission was welcomed for its importance and honesty, a sign of changing times in which footballers could admit their personal battles and fragility, and maybe help those struggling with similar problems. Rose said he was through it, that he was in a better place. It was a positive story of overcoming adversity; unfortunately, it may have inadvertently killed his transfer. We know how we would like the world to be, but the marketplace is different. Even 60 per cent of Walker is a lot of money for a left back — Andrew Robertson, one of the stars of Liverpool’s resurgence cost just £8m from Hull, Marcos Alonso set Chelsea back £24m — but a left back struggling with depression? That’s an expensive gamble. And we may be aghast at this apparent coldness but the fact is, if it was your club, or your money, you would feel the same. You would worry about how Rose might handle a new injury, considering that was in part a trigger for his mental setback, how he might settle abroad, or in a new part of the country, how he would respond to the pressures of a big club, or a spell out of the team. Most of all, a coach or a recruitment executive would worry that if anything went wrong, it would reflect on his judgment, because Rose’s struggles were well documented. 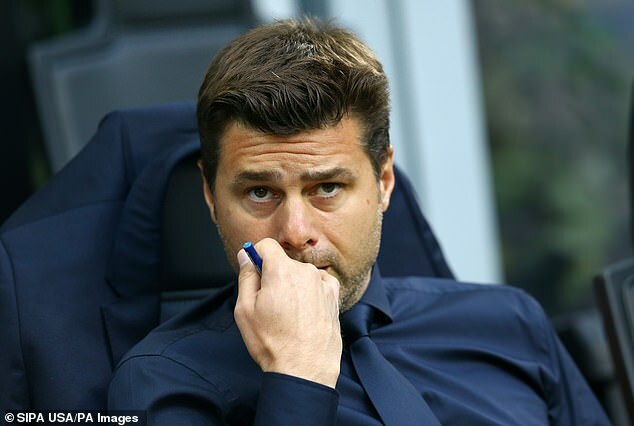 The upshot being, what Spurs had hoped to accrue in transfers did not materialise and, perhaps as a result, Mauricio Pochettino did not add to his squad. And this does not mean young men should feel unable to talk about mental health, but it is the way a market measured in tens of millions works. Whatever society’s attitudes, clubs will prefer low-maintenance talent. 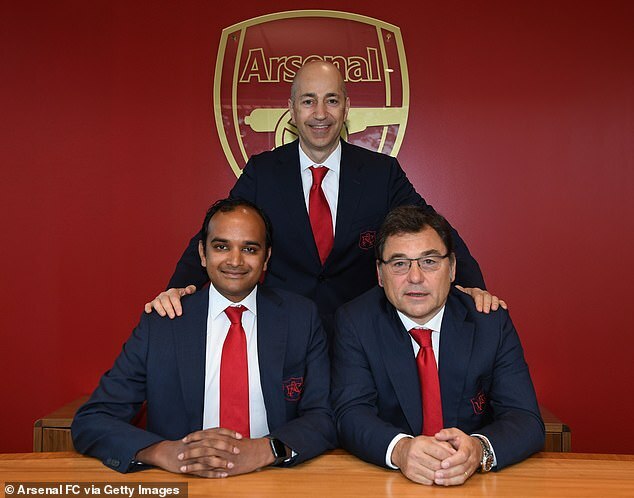 Ivan Gazidis lived happily in the shadow of Arsene Wenger for almost all of his decade at Arsenal. It wasn’t the worst life. In a good year he could pick up as much as £2.65million while travelling safely beneath the radar. Every now and then he would pop up to say something really daft, like when Arsenal bid £92m for Thomas Lemar hours before the transfer deadline closed. When that mystifyingly failed Gazidis sent out an email to staff offering perspective ‘amid the hysteria’. This was around the time he claimed Arsenal were the most ‘consistently over-performing’ of the big clubs, which may have come as a shock to the five that finished above them last season. ‘Every empty seat is a tragedy,’ Gazidis once pronounced, and by the end of that campaign at Arsenal there was barely a dry eye in the house. Yet, through all this, no grand protests against Gazidis. No fly-pasts, and only a supporting role in the phone-in fury. Wenger was the front of shop. He took the criticism, the abuse, the airborne, airwave tirades throughout those years when his club made fortunes, but not many waves, by remaining in the vicinity of the Premier League winners. 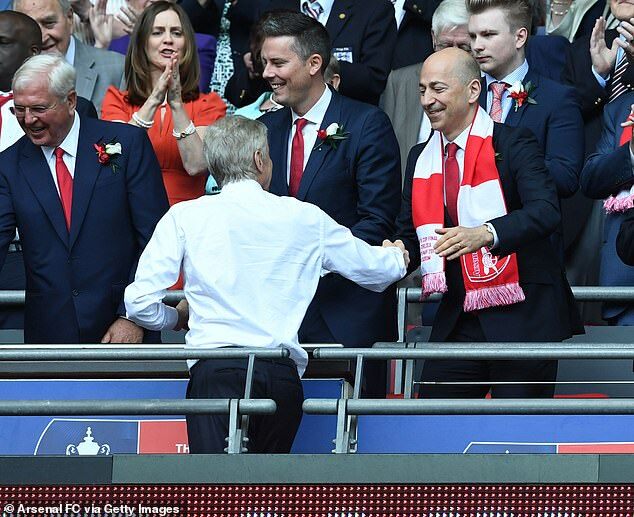 Finally, Wenger has moved on and Gazidis is free to oversee the shaping of a new Arsenal. He can be the catalyst of change that he spoke about with such commitment. So, obviously, he’s quit. Bit of wider responsibility flying around now the old man has gone; bit of backlash if it doesn’t go right. There’s good money to be had with AC Milan and, short term, they will take any improvement they can get. They haven’t finished inside Italy’s top six in five seasons and are now in their fifth year outside the Champions League. Arsenal were plainly shaped by Wenger’s vision: but while he took the glory, he also carried the can. Gazidis told the club he might be leaving as long ago as July. He didn’t even do a public month without his human shield. It’s tough at the top.